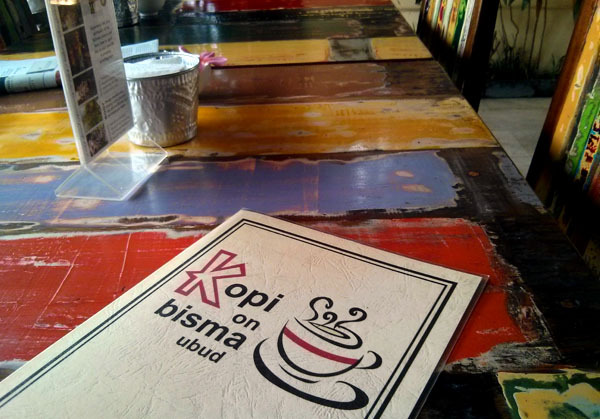 Kopi on Bisma is a cosy little café on Jalan Bisma in Ubud. It is located next door to Uma Pizza. We were just after a coffee, and that seems like what most of its business would be. The staff were friendly and polite, and there was no problem explaining that I wanted the coffee to take away. They even provided a nice carry bag. They had a good range of espresso coffee on the menu, plus desserts including the quality Gaya gelato. There is a villa (Villa on Bisma) behind the café. 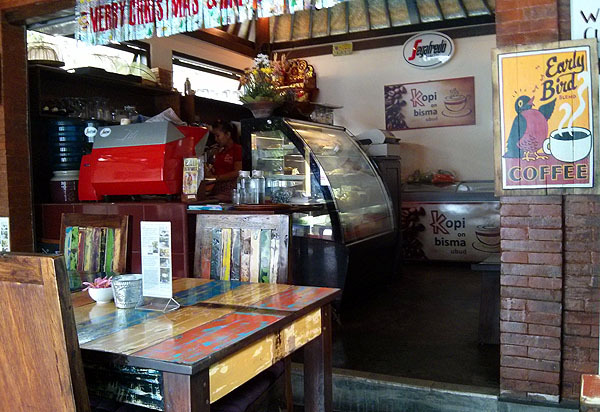 Our two café lattes were just 25.000 rp each (about $2.50). 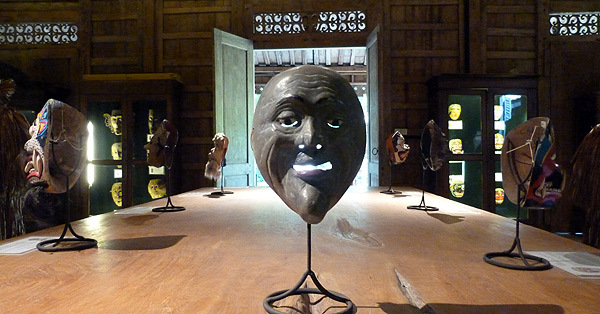 Topeng Cafe is the small café at the Setia Darma House of Mask and Puppets just a few kms from Ubud in Bali. 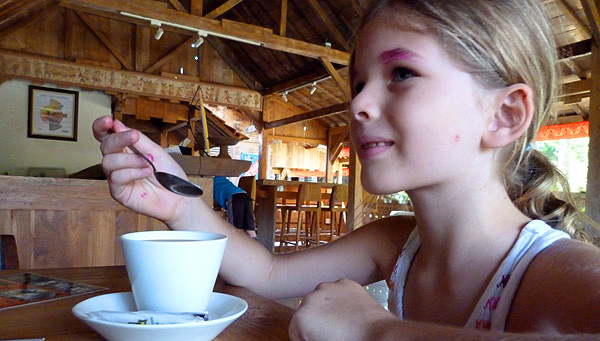 After you have checked out the mask museum which is highly recommended, you can stop for a coffee, cold drink or snack in this peaceful café overlooking the museum gardens. The coffee was decent. For some reason the barista used a hand-held milk frother instead of the one attached to the large coffee machine. Olive had a hot chocolate. There was also a selection of cold drinks and a few snack items you could buy. The Tree Monkey Restaurant is located in the grounds of the Tropical Spice Garden, just north of Batu Ferringhi on the Malaysian Island of Penang. The restaurant is perched on the hill with the outdoor seating area overlooking the Andaman Sea. We stopped for a snack after exploring the spice garden, and could not go past trying the dish that is pictured. 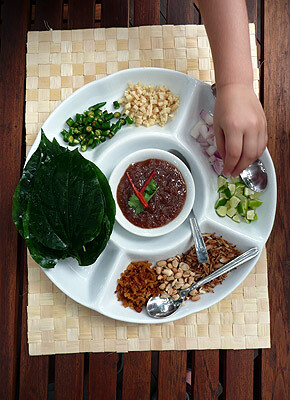 I cannot remember what it was called, but you had a plate of some unusual ingredients including lime, nuts and chilli, which you rolled up in a leaf and ate. It was a fantastic mouth sensation. 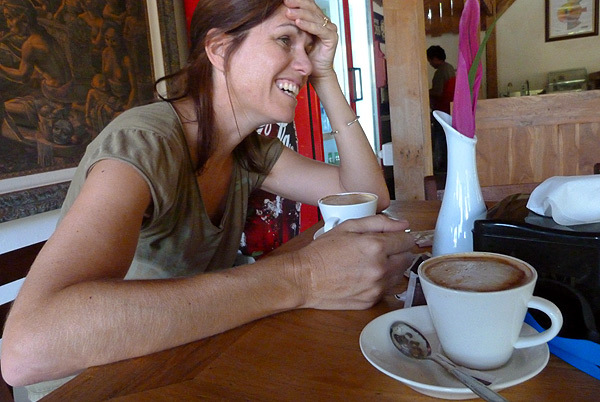 Also on the spice theme, we each had a spiced coffee. yummo. make sure you take time to explore the Tropical Spice Garden too. open 9am – 11pm (Sunday – Thursday) & 9am – midnight (Friday & Saturday). the shop right behind the cafe has some cool food gifts to buy.